Group Discussion Ideas > Political GD Topics > Should Military training be made compulsory for all in India? Compulsory military training helps to form a reserve force which can be of help during the times of war & natural calamities. It also transforms people for good. Military training makes people humble, disciplined and matured. It instils a sense of patriotism. Compulsory military training can also make people stronger physically & emotionally. It promotes equality because people of all classes will be trained in the same manner. This inturn makes people feel united despite having class differences. The threat of terrorist attacks is much higher now than before. So compulsory military training helps in such cases. People can protect themselves and are able to protect those who are in need as well. If anyone want to declare war against India, they will think twice considering the large pool of reserved forces. India is a democratic country, and hence forcing people to undergo military training is against to the democratic spirit of our nation. Not everyone is interested to be in reserve forces. Some people have family responsibilities and do not afford to lose time to training. Forcing uninterested people is against to morality. And some people are sole bread winners for their families. Forcing them to take part in war is unethical considering the situation of the family in case of death. Some people do not have enough strength to participate in such intense trainings. They may seem normal from outside but may have mental illnesses. 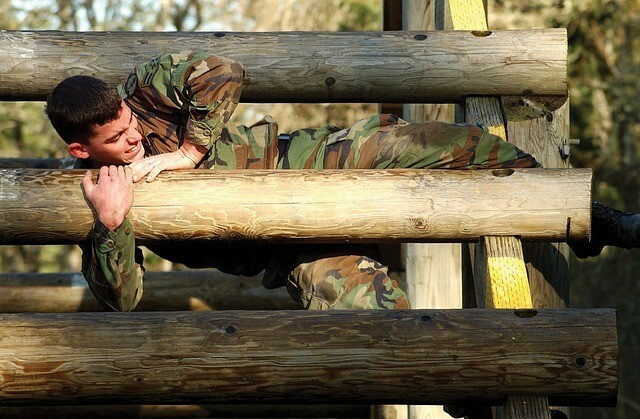 Military trainings can be emotionally and physically daunting for them. In such cases compulsory trainings will be a threat to their life. Most of the reserve force will not be utilized, which means huge amounts of expenditure on trainings will go in vain. Those who are forced to be in reserved force may not work well in times of need, because it’s not voluntary. In some countries, military training is compulsory for all and in some other countries it is compulsory for only men. Considering the situation in India, if the compulsory training is imposed, it will be done so only for men. This is very discriminatory for men. Hurting or injuring other people is against to the moral values and religious beliefs of some people. Involving them in such programs causes emotional trauma for them. Even if everyone is trained, they may not be able to take part in military operations like professionals. They may forget the skills with time because of lack of practice. This results in low quality reserve force. Compulsory military training may not be accepted in a country like India, because of the democratic spirit in Indians. Instead the reserve force can be formed by strengthening NCC (National Cadet Corps), which is open to schools and colleges on a voluntary basis. Do you think military training should be made compulsory for all in India? Express your thoughts in the comment section below. Subscribe to our blog to read answers to trending GD topics. India is biggest country by its area and more than biggest by the population. When here the point comes to compulsory military training for everyone so somewhere it shouldn’t be compulsory. 2. India has also the rule that forced people to joining the the Army but it never implemented because of whoever join forces that’s their own choice. It shows how much patriotism fulfill in our youths. 3. Genuinely compulsory military training may feel some of our country’s citizens against their freedom. 4. Here could be wasted huge amount of budget of defence forced. It’s my personal point of view rather than make compulsory military training for everyone in India defence forces should put efforts for making its Armed forces more powerful than every other in the world. Yes .. I Think it should be made compulsory in India first of all … men and women who are serving in this field will increase their thought about being patriotic about the country …. secondly our youth are dependent on the technology … so this will help them to understand the happiness of being a fit hum being … and At last I wanna compare this with Israel country like thief is a compulsory law of being serve in Israeli army for 3 Year … and people are highly trained that if thief is a terrorist insurgency in the country … people deals with then so iffciently …. and as in our country …. this is must … as our north region is highly terrorist prone area …. In a vast country like India, the security is of utmost importance. That too in the light of geostrategic location of country. The question arises how we can secure the territories of our country. One can think of a military training to individual which can be made compulsory like in Isreal. It shows patriotism, duty to the motherland. 1. India has its young population of nearly 50% of its population. Does we have sufficient resources to train them? 2. For training, huge expenditure will be spent and also it led to increase in fiscal deficit. 3. Training require physical and mental fitness of an individual. What about those who are not upto that level. 4. It led to violation of right to adapt any profession which is a fundamental right enshrined in the Indian Constitution. 5. Further , we already have very capable military personnel who defend us internally as well as externally, Moreoevr in case of emergency, technological weapons comes to our rescue. Thus, For the time being the need of hour is to strengthen already existing military personnel and channelise our energy in modernising and upgrading them.